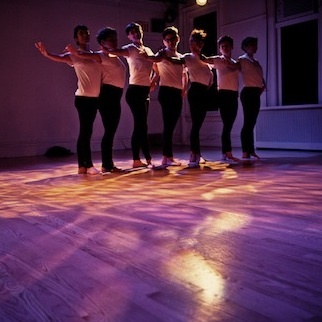 In February 2012, artist/writer/curator Marissa Perel spoke with dancer/choreographer Katy Pyle about her queered ballet form, Ballez, and the early stages of her latest piece, “The Firebird,” which was presented at Danspace Project, May 16-18. Here, members of the cast of “The Firebird” join Perel and Pyle to discuss motivations for the piece, each performer's experience of Ballez, and alternative approaches to the idea of failure in queer performance. Chicago-based choreographer Greer Dworman talks with choreographer Rachel Thorne Germond. Germond will present “Return,” an evening of work by her company and friends, at Links Hall in Chicago, June 22-24. Dworman and Germond discuss the Chicago dance scene and queerness in concert dance. The editors at Critical Correspondence direct you to an article in the San Francisco Bay Guardian by Robert Avila about the current happenings of “insider/outsider” artists in the San Francisco performance scene. Read the article here.